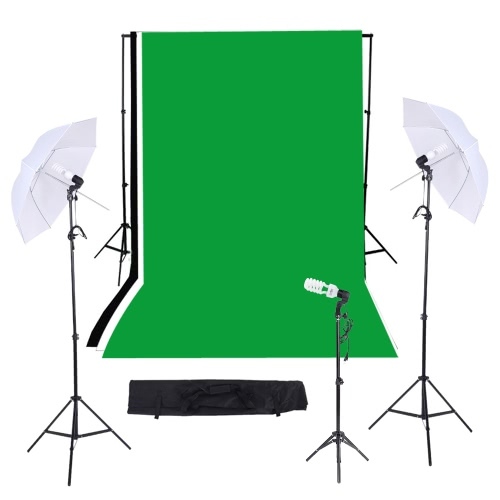 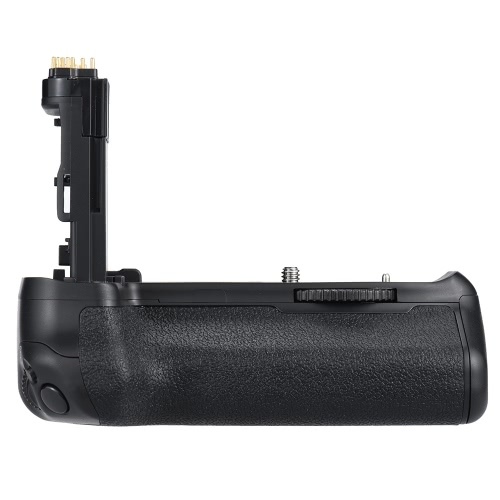 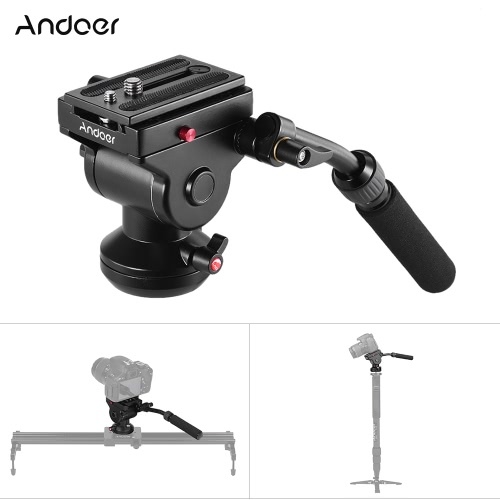 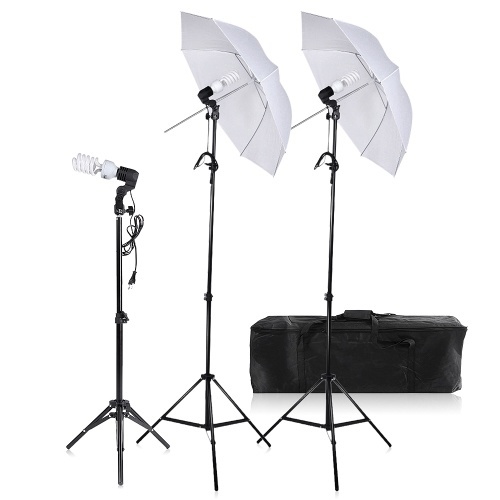 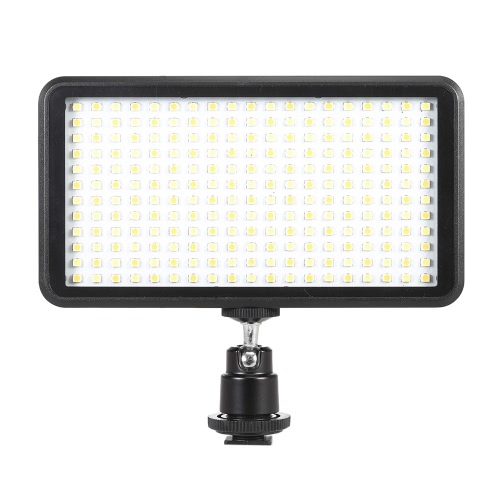 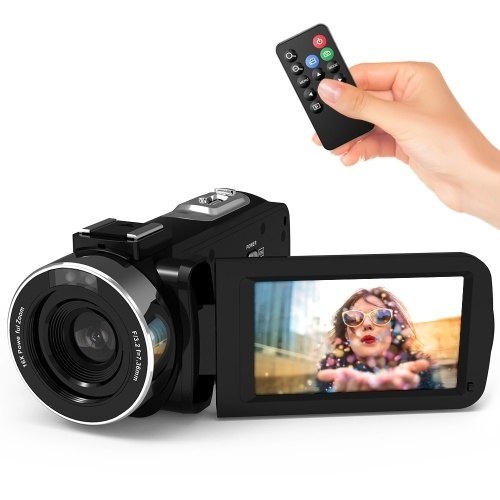 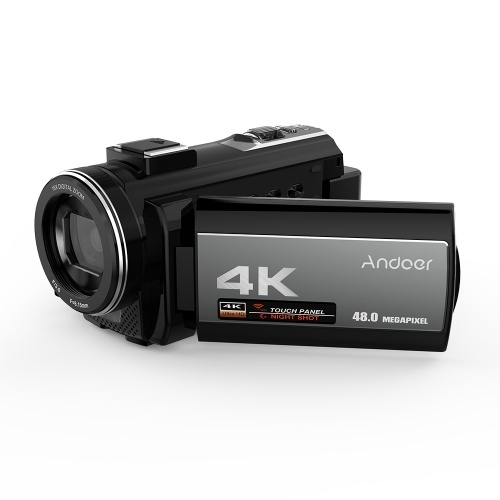 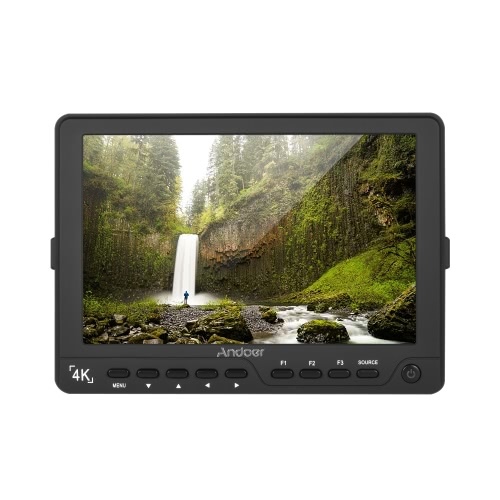 3-Way Pan Head——Supports pitch, horizontal and vertical multi-angle shooting. 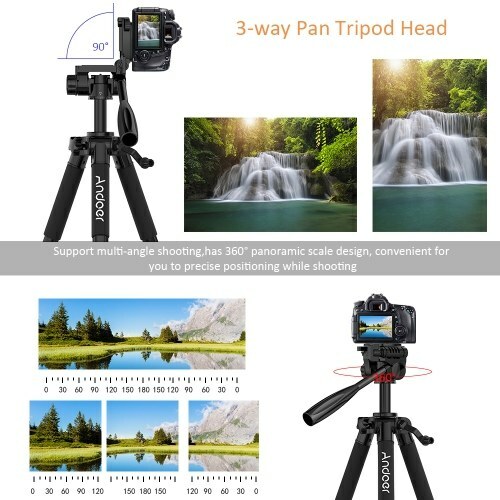 The head has 360° panoramic scale design, and the horizontal knob has a strong locking force, the damping effect is good. 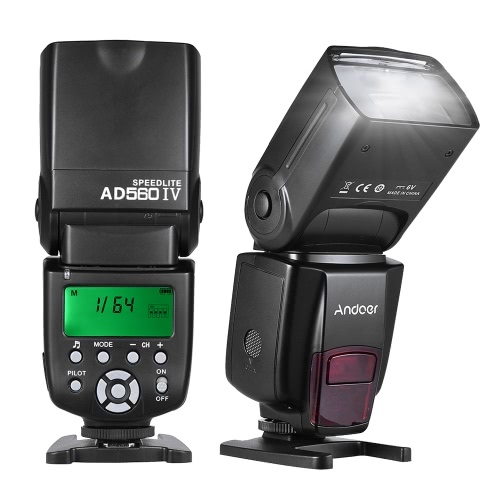 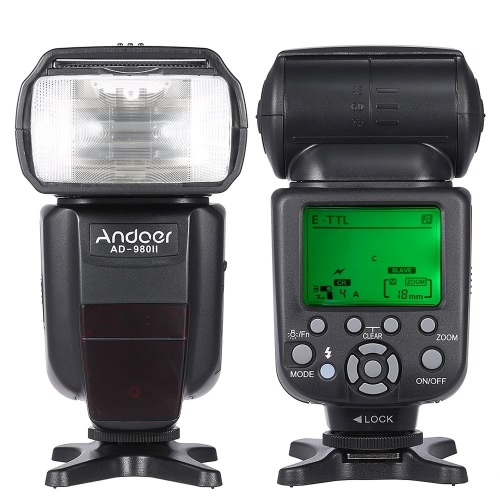 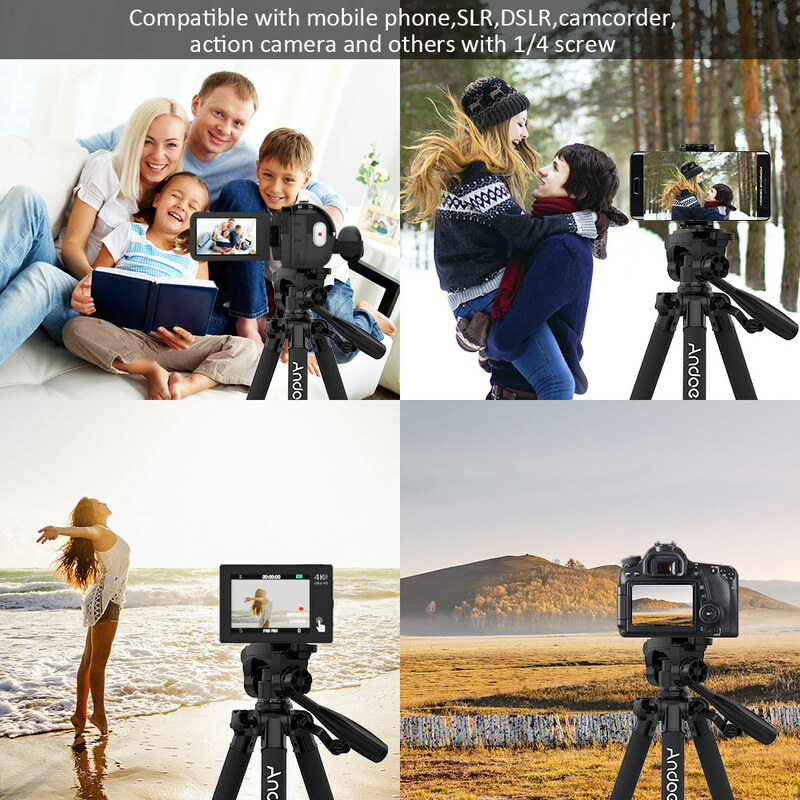 It is convenient for you to precise positioning while shooting, which helps you to complete photography smoothly. 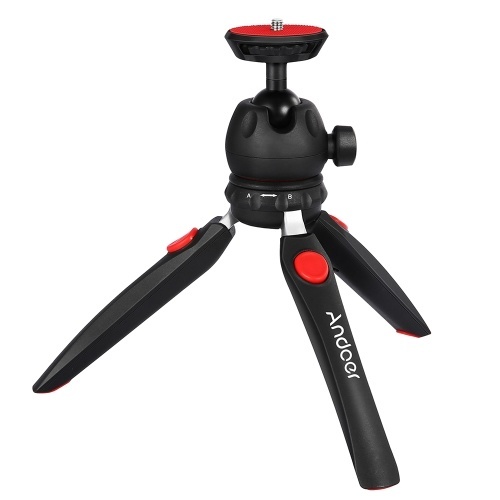 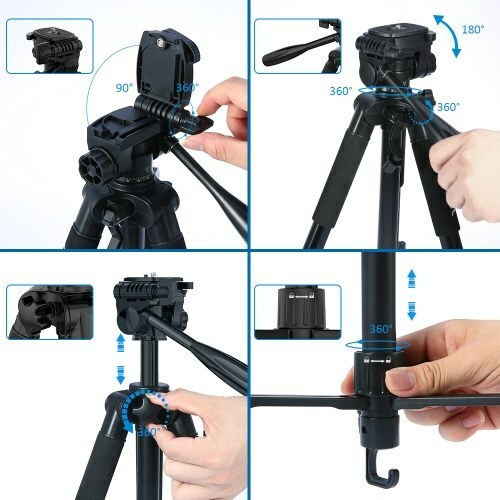 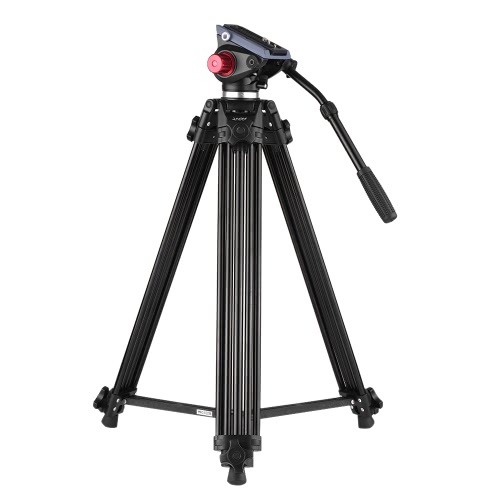 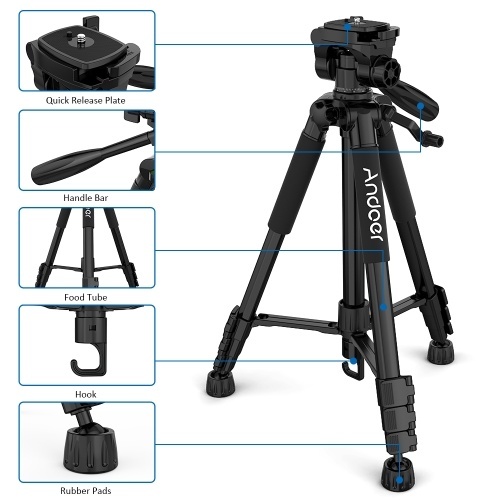 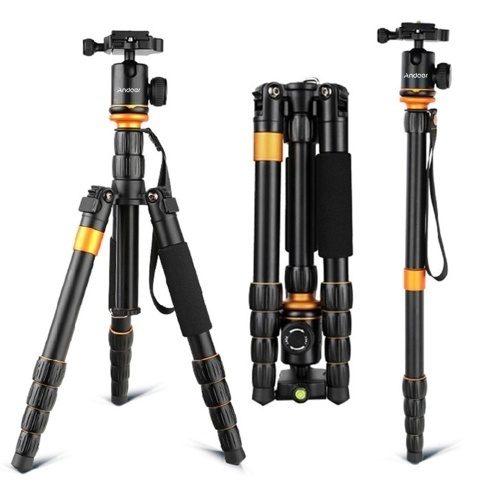 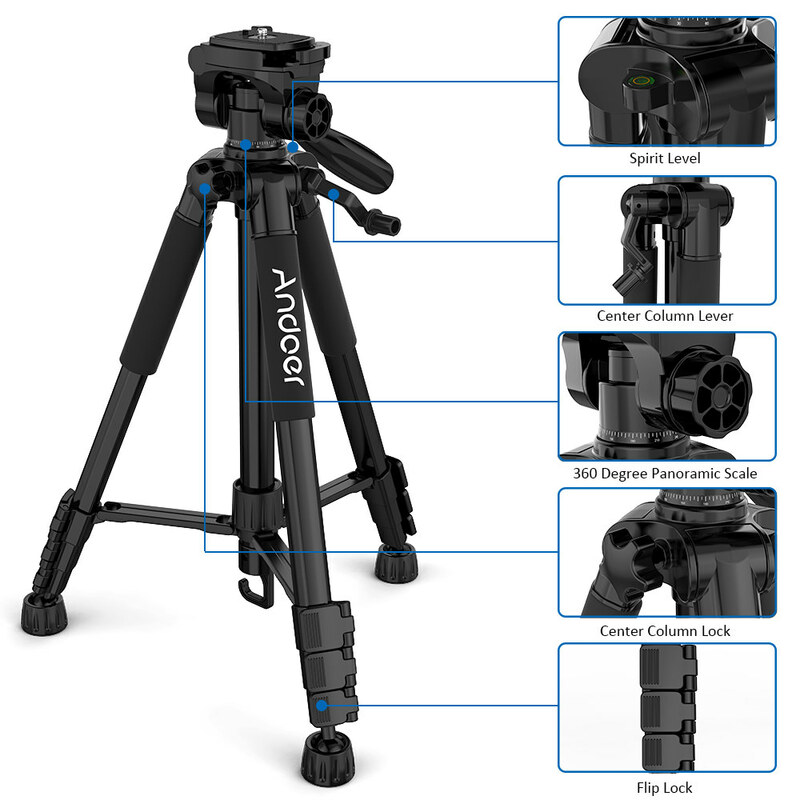 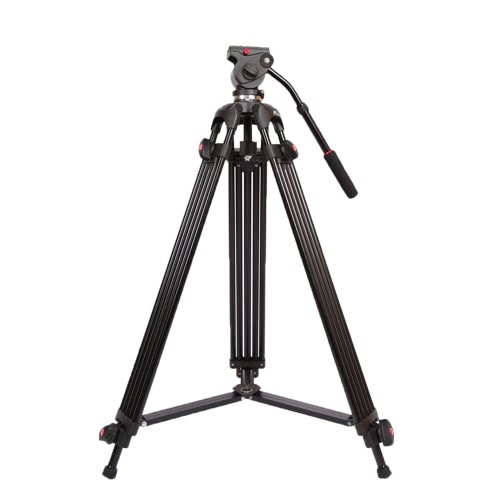 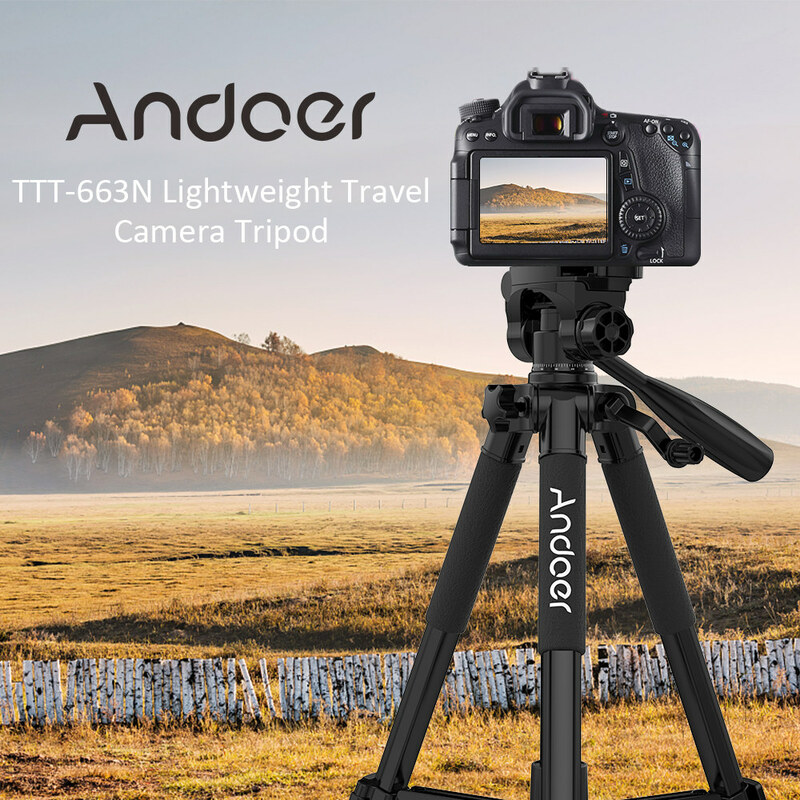 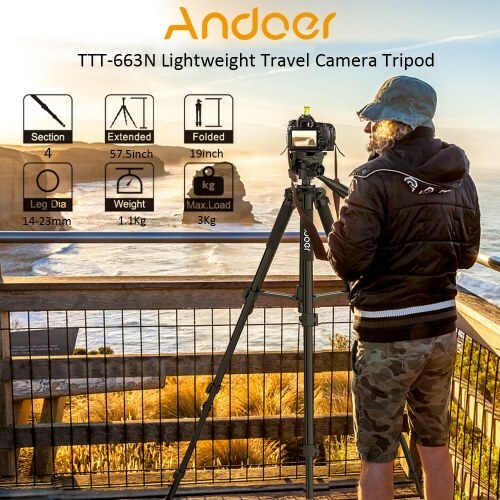 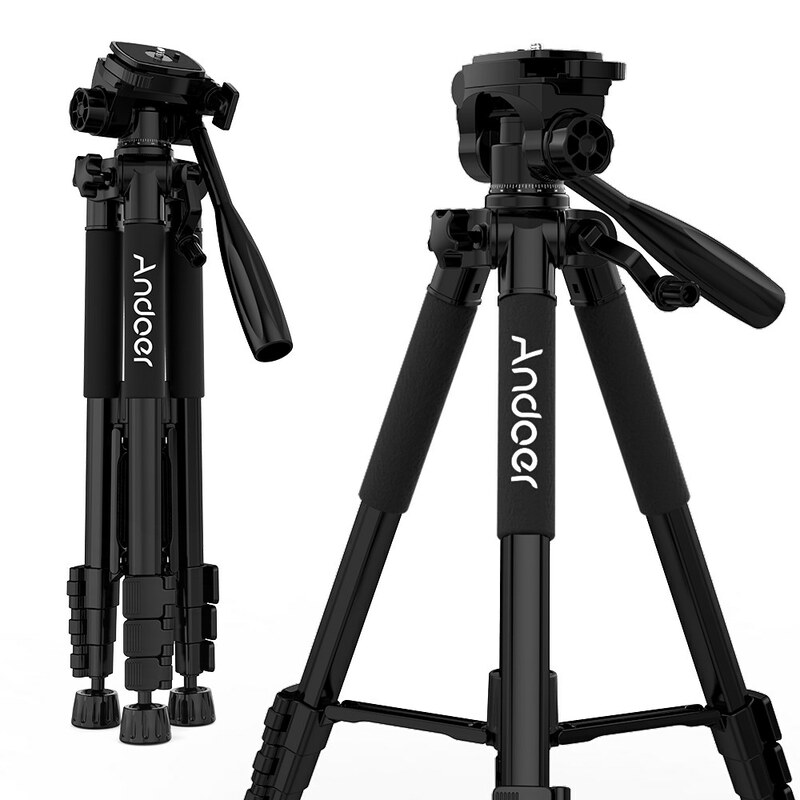 1、The U-shaped struts are designed on the central axis of the tripod to strengthen the connection strength with the tripod and marked with a prominent bracket lock mark. 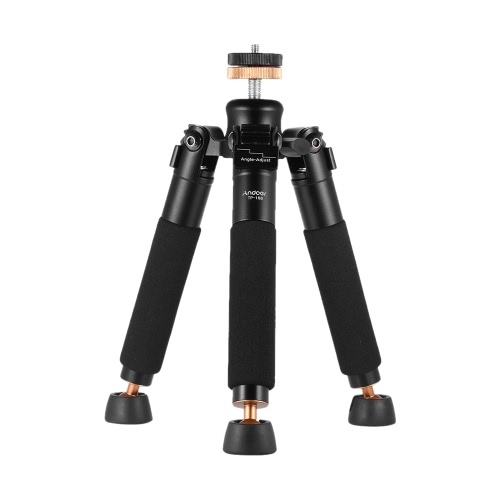 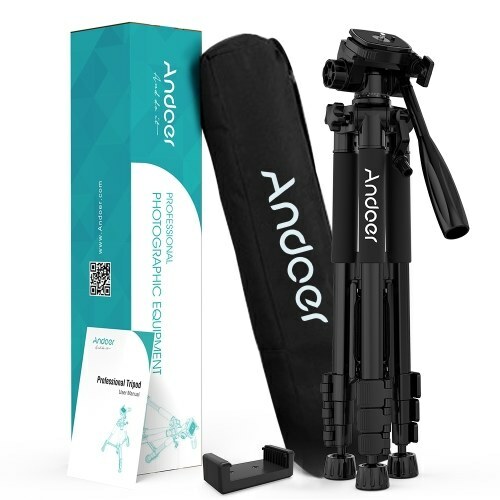 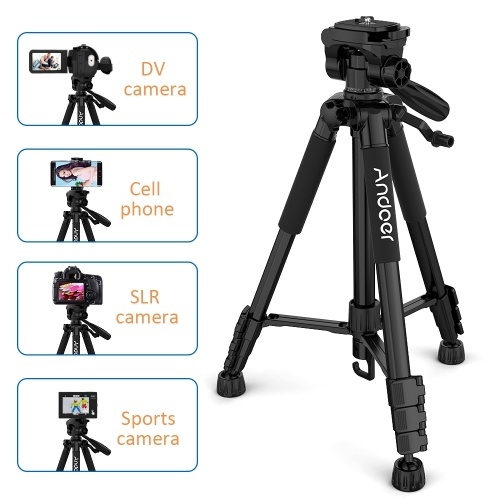 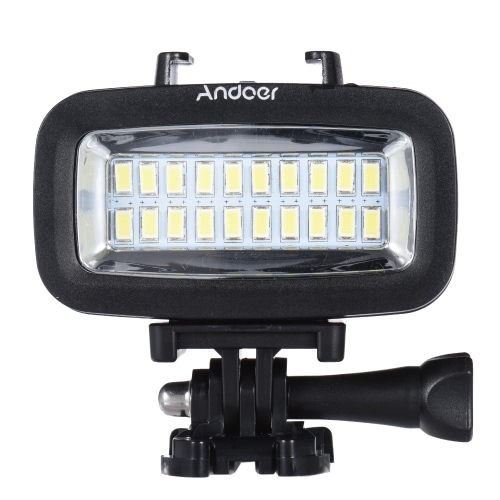 2、The middle axle design has a load-bearing hook, which is convenient for suspending heavy objects in a special environment so as to enhance the stability of the tripod. 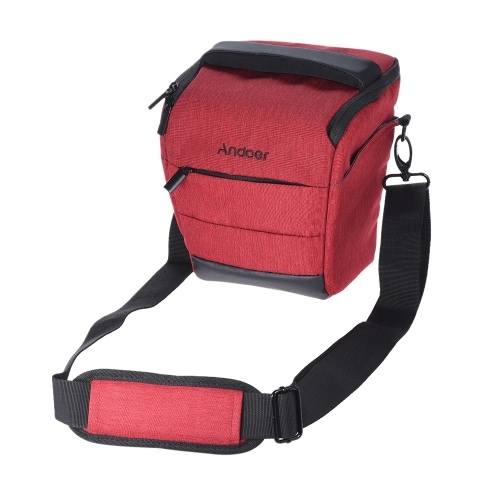 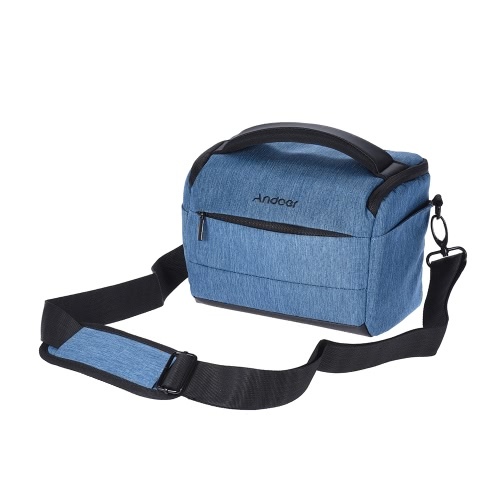 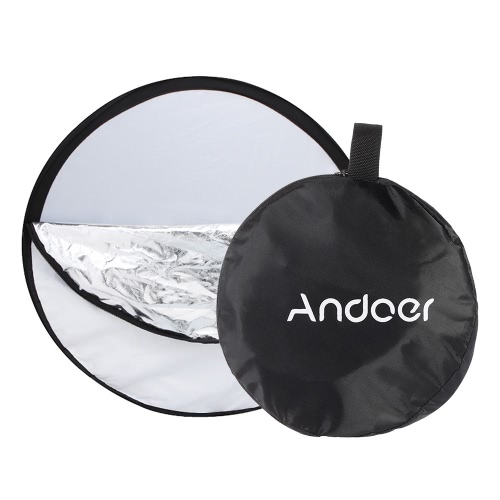 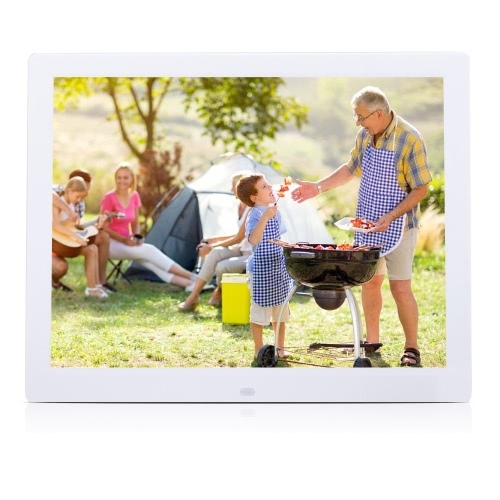 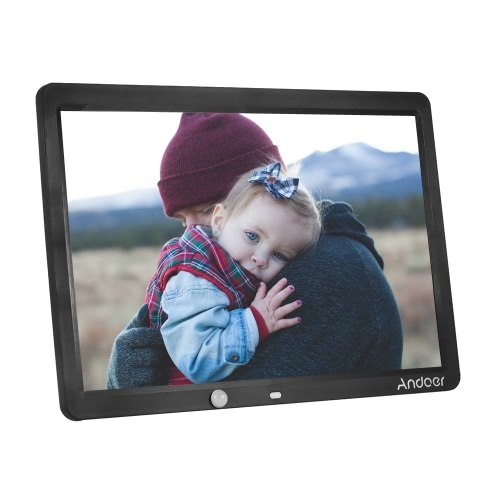 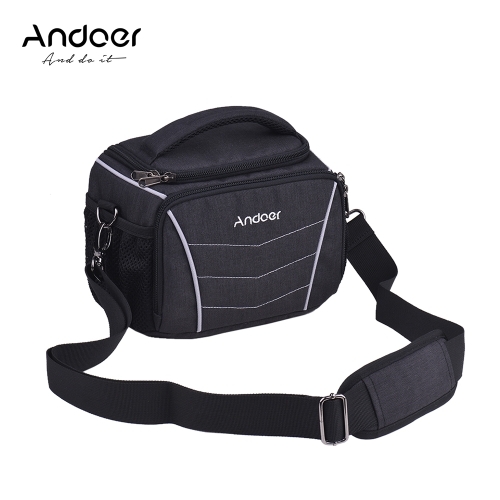 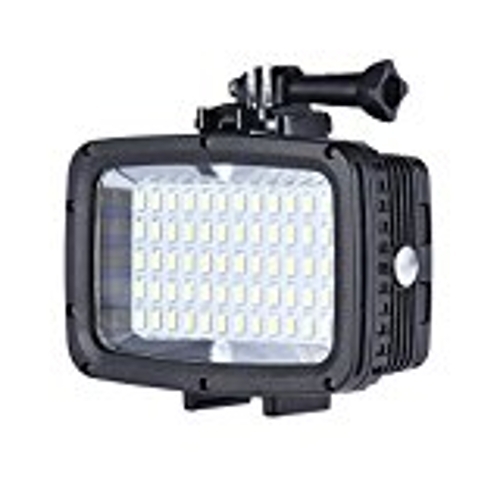 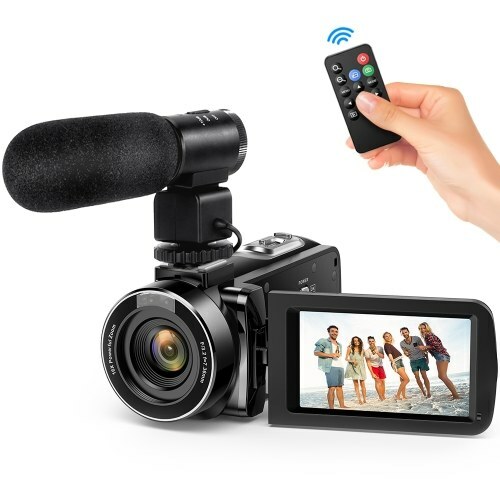 3、The foot fitted with high-density pearl cotton, which is comfortable in hand and helps to prevent slip when holding.And with a carrying case which is easy for outdoor photographers to carry and transport. 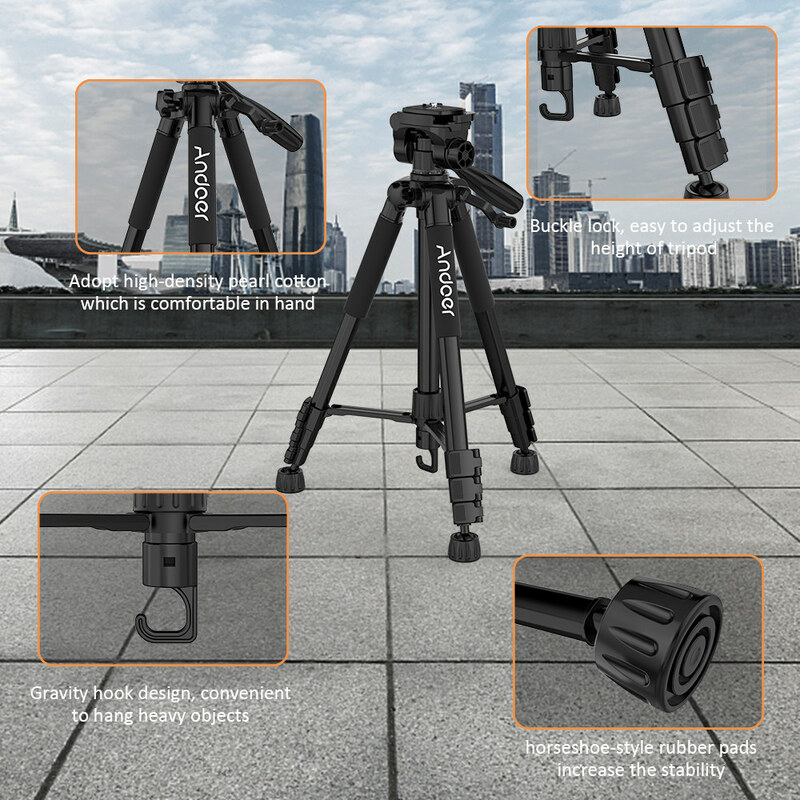 4、Compared with the knob lock, the leg adopt buckle lock, which is more easy to extend the tube . 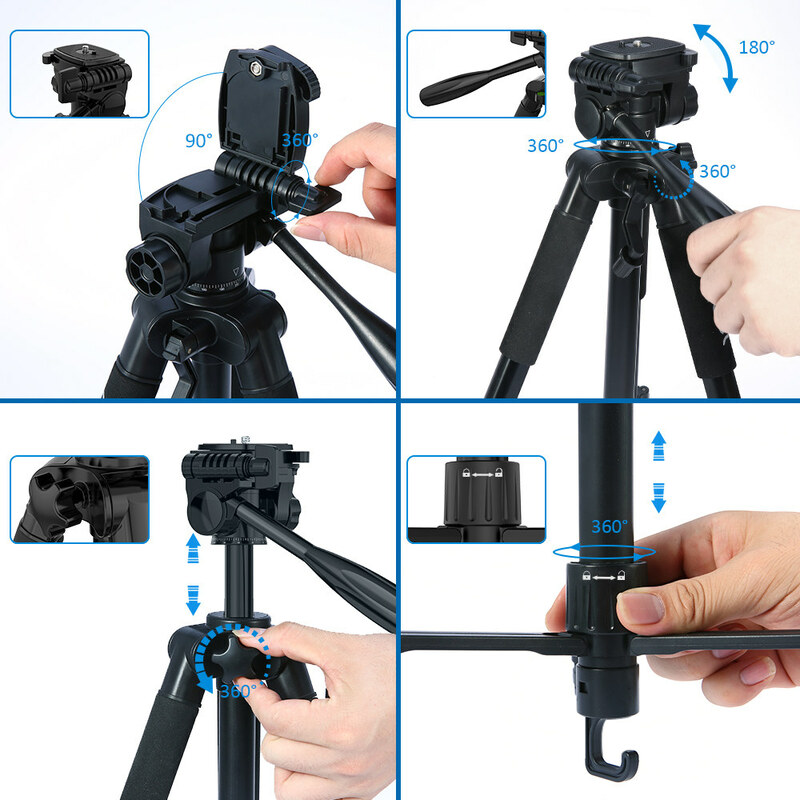 5、Using horseshoe-style rubber pads, increase the stability of the tripod. 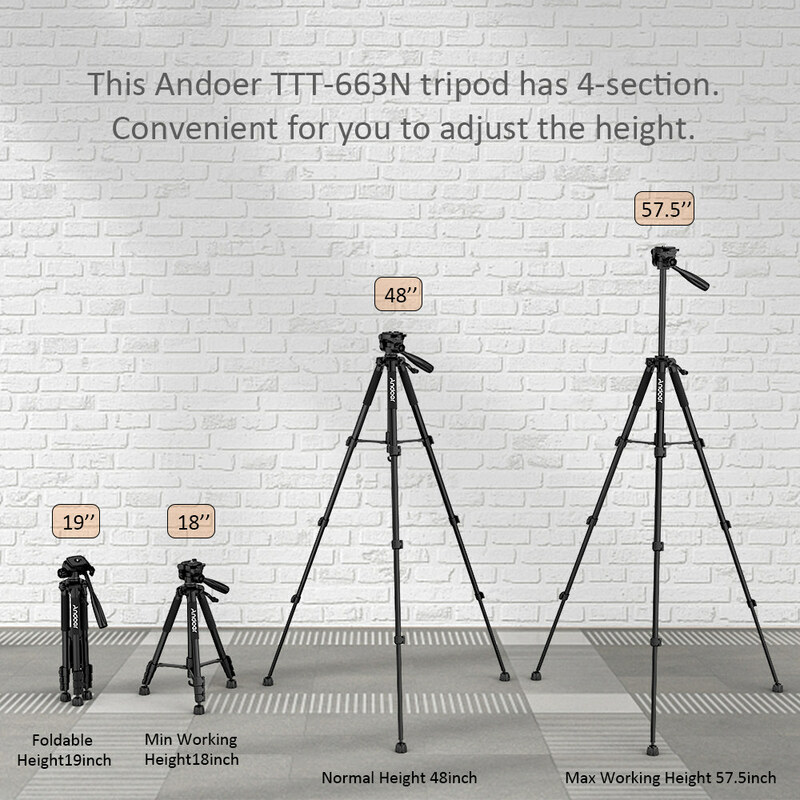 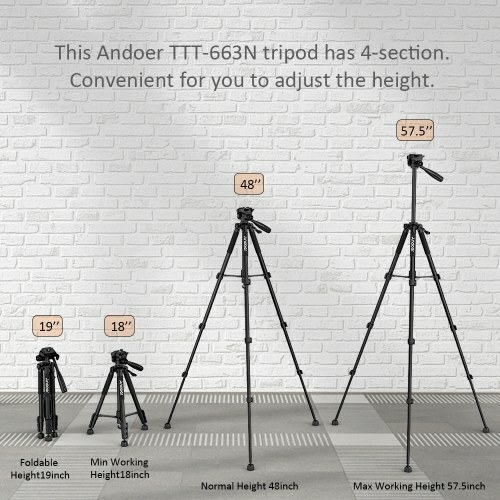 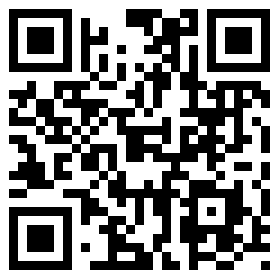 6、Gravity hook design, which is convenient for you to hang heavy objects, thus can enhance the stability of the tripod.